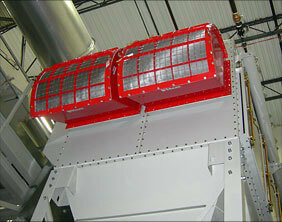 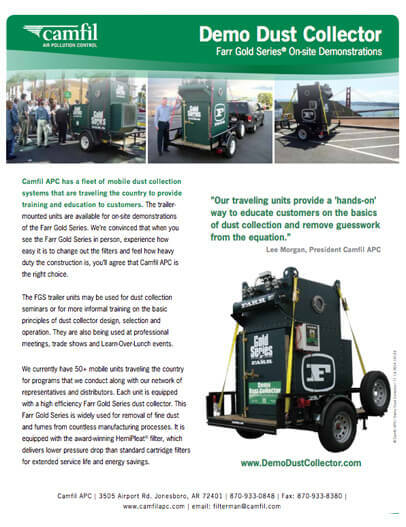 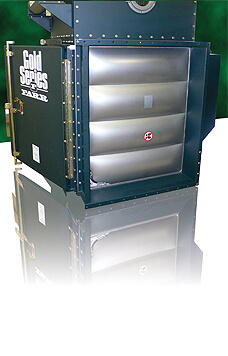 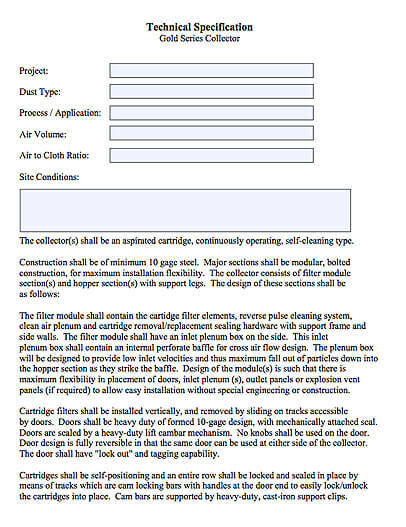 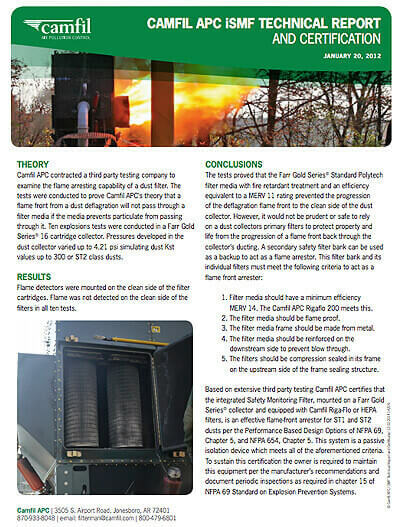 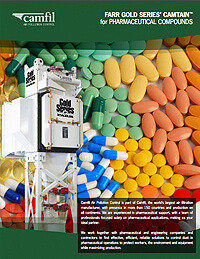 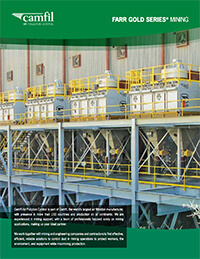 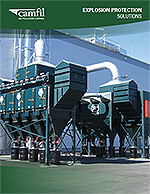 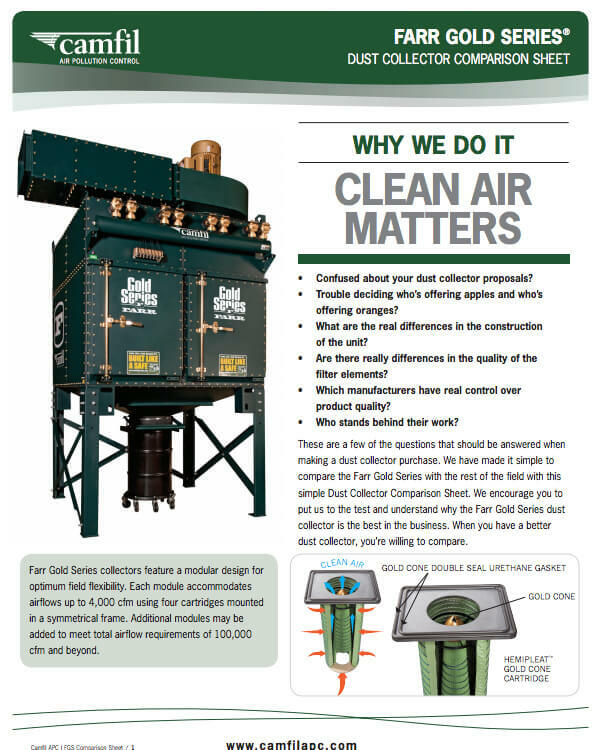 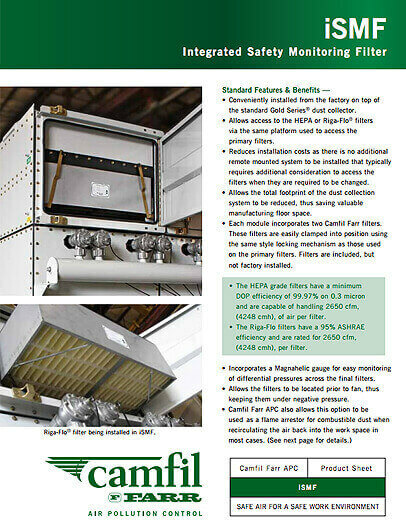 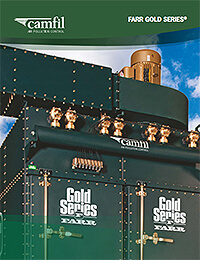 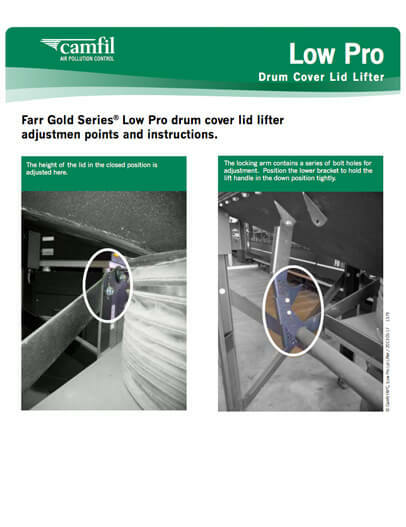 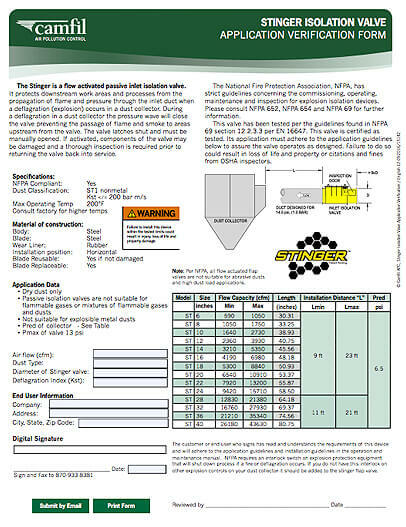 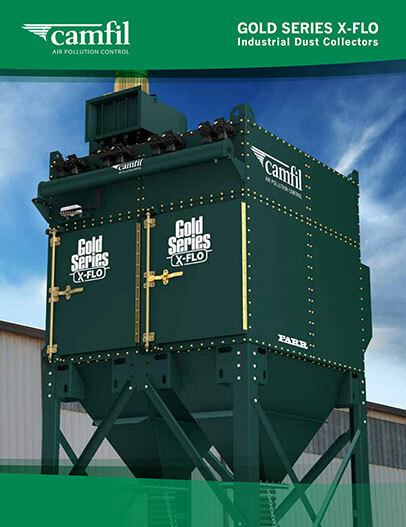 Employee safety is always in the engineering forefront of Camfil APC's dust collector designs; from our patented Cambar door system, which allows for fast, safe and trouble free filter change-outs (no tools required) to durable construction using the heaviest gauge steel (7-10 gauge) on the market today. 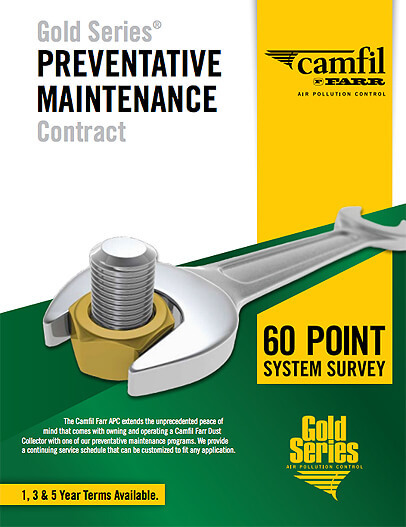 Don't let your employees remain at risk due to cost factors! 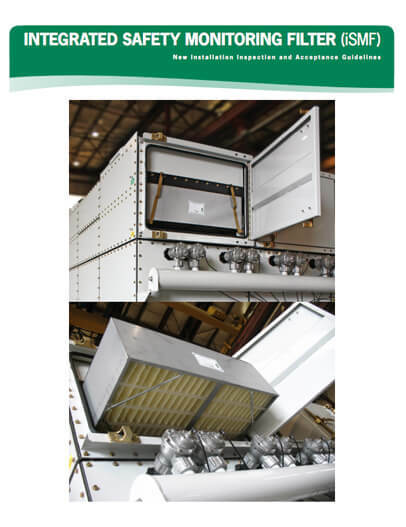 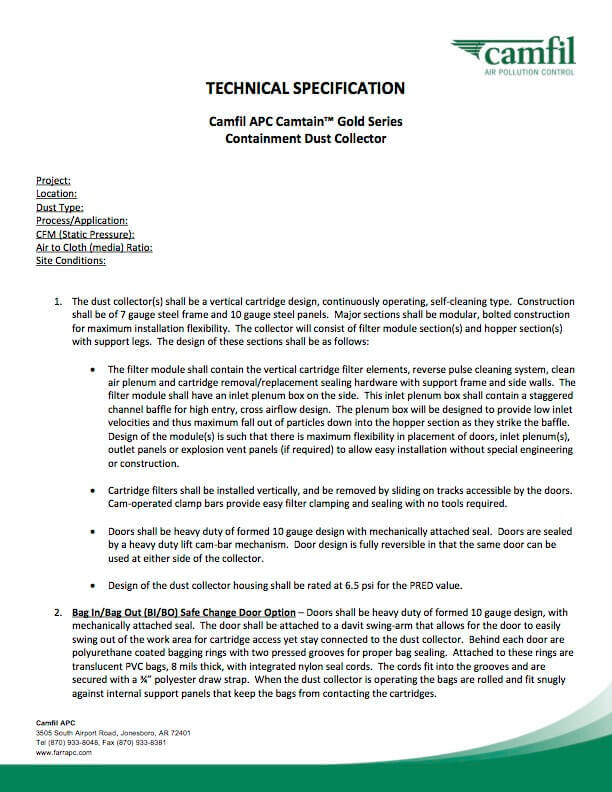 Camfil APC's team of experts can retrofit the "X-vent" onto your existing Camfil APC dust collector, thus providing a cost effective solution and they can also provide expert guidance on your ducting requirements. 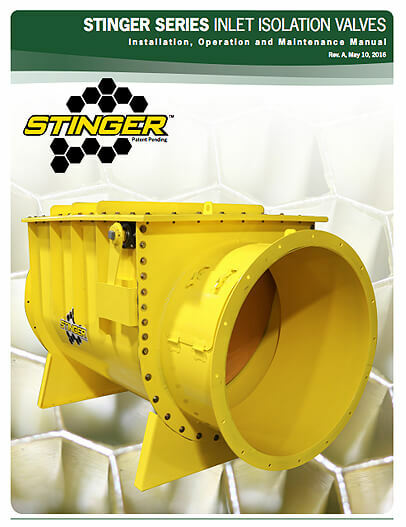 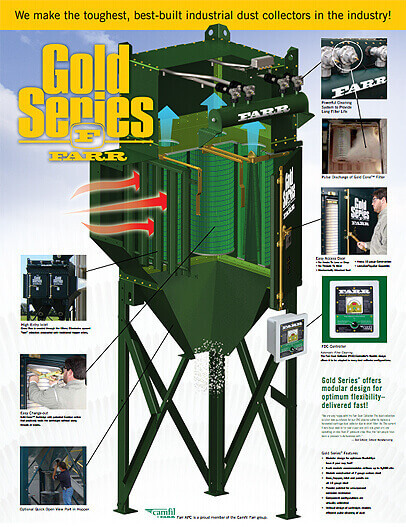 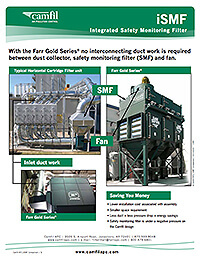 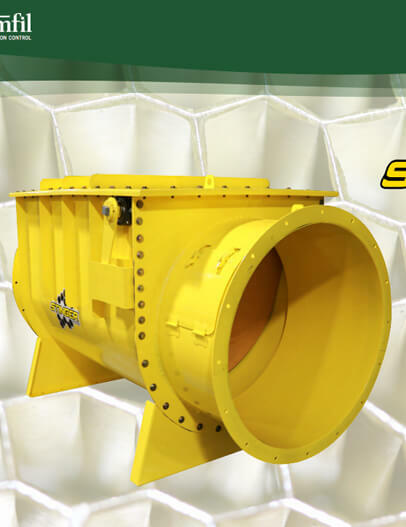 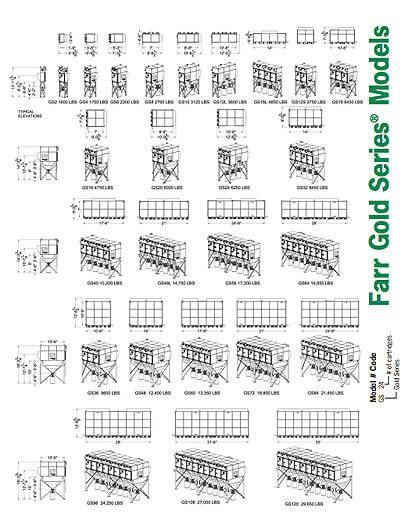 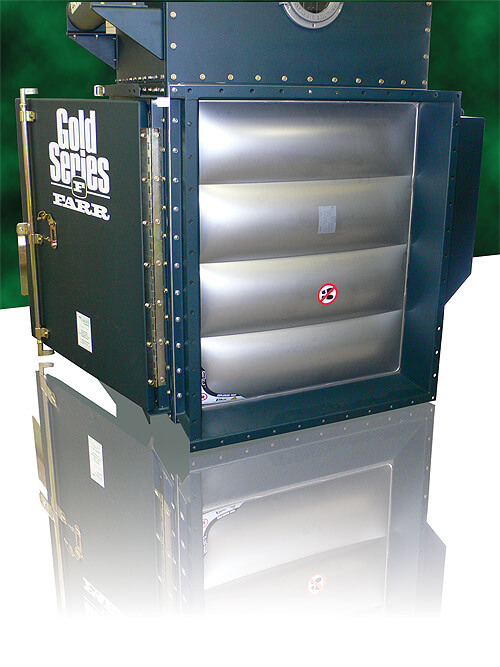 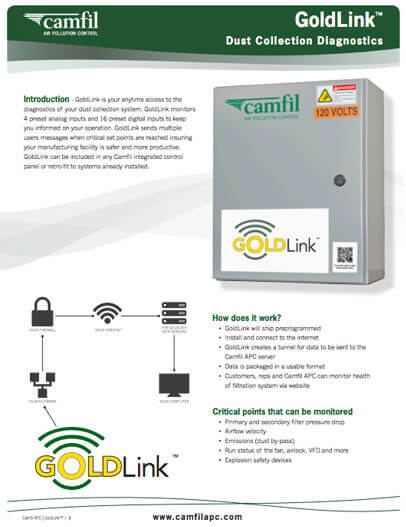 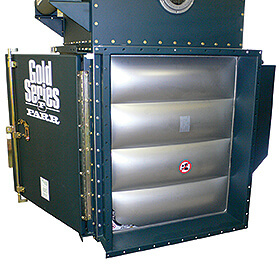 Camfil APC's Gold Series dust collectors have always been proven performers (exceeding OSHA mandates) in the prevention of hazardous combustible dust build-up and now the addition of the "X-vent"helps to safeguard work environments by reducing the possibility of a dust explosion. 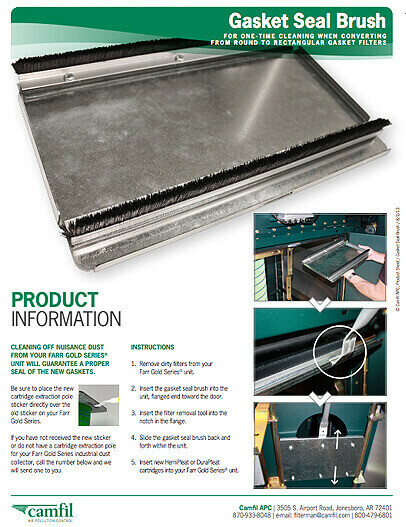 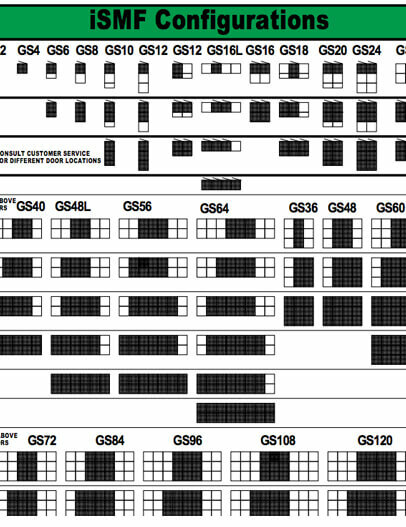 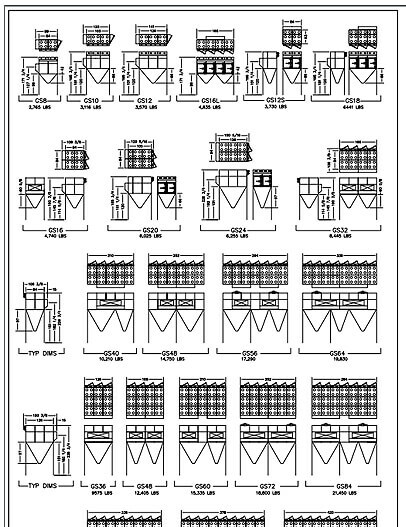 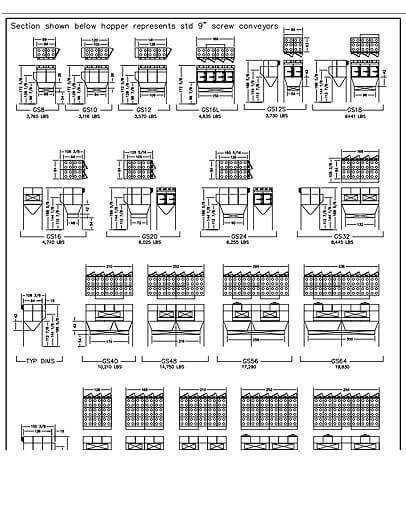 Contact us today for a free on-site demonstration!